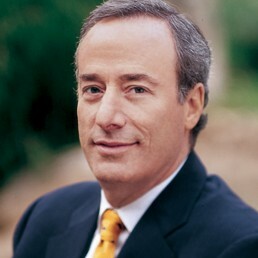 Joel S. Marcus is the Executive Chairman and Founder of Alexandria Real Estate Equities, Inc. (NYSE:ARE), an urban office REIT uniquely focused on collaborative life science and technology campuses in AAA innovation cluster locations. Mr. Marcus co-founded Alexandria in 1994 as a garage startup with $19 million in Series A capital and, as Chief Executive Officer from March 1997 to April 2018, has led its growth into an S&P 500 company with an approximately $18 billion total market capitalization and a total shareholder return of approximately 1,300% since the company’s IPO in 1997. Today, Alexandria, which celebrated its 20th anniversary as an NYSE listed REIT in May 2017, is the only publicly traded pure-play office/laboratory REIT. Mr. Marcus has built Alexandria’s unique business model around four business verticals — real estate, venture investments, thought leadership, and corporate responsibility. With its core focus on real estate, Alexandria has a proven track record of developing Class A buildings on urban life science and technology campuses in AAA innovation cluster locations, including Greater Boston, San Francisco, New York City, San Diego, Seattle, Maryland, and Research Triangle Park. In 1996, Mr. Marcus founded the company’s venture capital arm, Alexandria Venture Investments, to provide strategic investment capital to innovative life science and technology entities developing breakthrough therapies and technologies. Mr. Marcus introduced the company’s thought leadership platform in 2011, when he co-founded the renowned Alexandria Summit®. The Alexandria Summit convenes a diverse group of visionary partners and key stakeholders — from the pharmaceutical, biotechnology, agribusiness, technology, medical, academic, venture capital, private equity, philanthropic, patient advocacy, and government communities — to address the most critical challenges in global healthcare, agriculture, and the environment. Focusing on sustainability and philanthropy, Alexandria’s corporate responsibility business vertical affirms the company’s commitment to making a positive impact on the world. Mr. Marcus is also personally engaged in numerous mission-critical philanthropic efforts, including through his service as Chair of the Navy SEAL Foundation’s 2017 New York City Benefit, which raised $12.8 million to help support the Naval Special Warfare community and their families. Mr. Marcus was one of the original architects and co-founders of Accelerator Life Science Partners, for which he serves on the board of directors, and AgTech Accelerator Corporation, for which he serves as Chairman of the board. He also serves on the boards of Applied Therapeutics Inc., Atara Biotherapeutics, Inc. (NASDAQ:ATRA), Boragen Inc., Intra-Cellular Therapies, Inc. (NASDAQ:ITCI), MeiraGTx Limited, and Yumanity Therapeutics; Biotechnology Innovation Organization (BIO), the Foundation for the National Institutes of Health (FNIH), Friends of Cancer Research, MassBio, NewYorkBIO, and The Scripps Research Institute; the 9/11 Memorial & Museum, the Navy SEAL Foundation, the Partnership for New York City, and Robin Hood Foundation; as well as on Nareit’s 2018 Executive Board. Prior to co-founding Alexandria, Mr. Marcus had an extensive legal career specializing in corporate finance and capital markets, venture capital, and mergers and acquisitions. During that time, he acquired an expertise in the biopharmaceutical industry and was one of the principal architects of the Kirin-Amgen EPO joint venture in 1984. He was also a practicing certified public accountant and tax manager with Arthur Young & Co., where he focused on the financing and taxation of REITs. He was named one of Real Estate Forum’s 2017 Best Bosses in commercial real estate and was previously a recipient of the EY Entrepreneur Of The Year Award (Los Angeles — Real Estate). Mr. Marcus earned his undergraduate and Juris Doctor degrees from the University of California, Los Angeles.